Stanford Told a Frat Their American Flag was Intimidating...What They Did Next is Amazing! Lozano recounted that the more the house talked about Mr. Z’s suggestion, the more it bothered them. Many found the proposal weird. The remark was, according to Lozano, out of the blue and incongruent with the candid rapport they had shared with Mr. Z up and until then. Furthermore, they wondered, since when is an American flag flown at an institution in the United States offensive? Lozano later observed that right down the road from Sigma Chi, an American flag is flown outside Stanford’s Post Office. Similarly, he noted, an American flag is flown outside Green Library’s Bing Wing.and was once flown outside Memorial Auditorium, which commemorates fallen Stanford soldiers from WWI onward. According to Lozano’s knowledge, Mr. Z raised no objections to the Dominican flag flown by a student from his bedroom window in Sigma Chi or to the Palestinian flag which was hung across the street at Columbae. In protest of Mr. Z’s suggestion, the house declined to remove the flag, instead choosing to replace it with an even bigger one. Some members, of course, abstained from the discussion about and decision to purchase a bigger flag. The following day, by Lozano’s doing, Sigma Chi upgraded from a three-by-five-foot flag to a four-by-six-foot flag. The former flag was then framed and placed on display inside the house. This decision was, in Lozano’s words, a “silent but visible protest” against the classification of the American flag as a potentially stigmatizing symbol by a member of the Stanford administration. Our college campuses are full of people like this administrator who wants to prohibit patriotism on campus and even make students hate America as much as they do. It’s great that the fraternity defied the anti-American advice and just got a bigger flag. They went down doing the right thing. 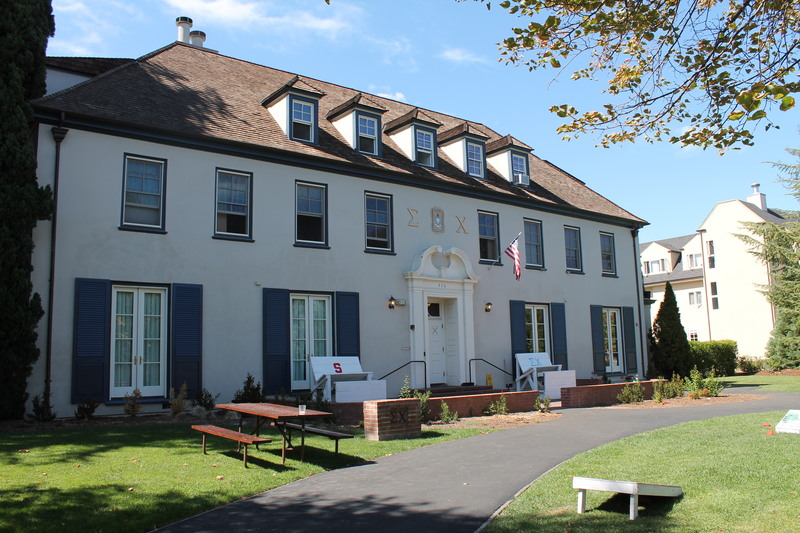 Yes, Sigma Chi was kicked off campus.